Someone very close to Chow, Baby is pregnant, and it’s really cramping her style. Don’t get me wrong, I admire the discipline it takes to abstain from booze, certain types of fish, caffeine, and pretty much everything fun in life –– then you have to take care of a constantly pooping and crying miniature version of Sir Winston Churchill when it’s all finished. By the time you can drink again, you’re doing it out of necessity. I don’t have to worry about damaging any of my 19 cats if I drink a little wine or eat some sushi. My pal and I have been obsessively plotting her reentry into debauchery after the kid pops out –– that’s assuming her tastes haven’t completely changed, which apparently happens. The first order of our postpartum party will be to ply her (and me) with wine and shellfish. The place she misses the most is Pacific Table (1600 S. University Dr., Ste. 601, 817-887-9995). 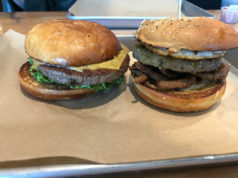 The number of restaurants that serve both East and West Coast oysters may be dwindling, but the University Park Village eatery always has great choices –– if little variety. Not too long ago, I would have considered it blasphemous to deep fry an oyster from the left or right coast, but Chef Felipe Armenta’s version of the dish ($10) has forced me to rethink things. The price of the place’s Annabella Pinot Noir ($68) has skyrocketed over the last year or so, but the Carneros boutique wine’s soft tannins and bright cherry notes are worth breaking the bank –– and it will be a special occasion. 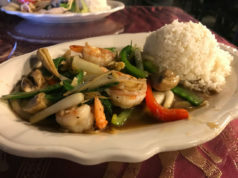 The other possible venue for a shellfish and vino binge is Waters Fine Coastal Cuisine (2901 Crockett St., 817-984-1110). Although I’m not particularly impressed with West 7th upscale seafood joint’s local-centric wine list, I am super-down with its impressive selection of oysters, mussels, and clams. You can mix and match oyster varieties with the place’s “Dirty Dozen” ($28) appetizer. 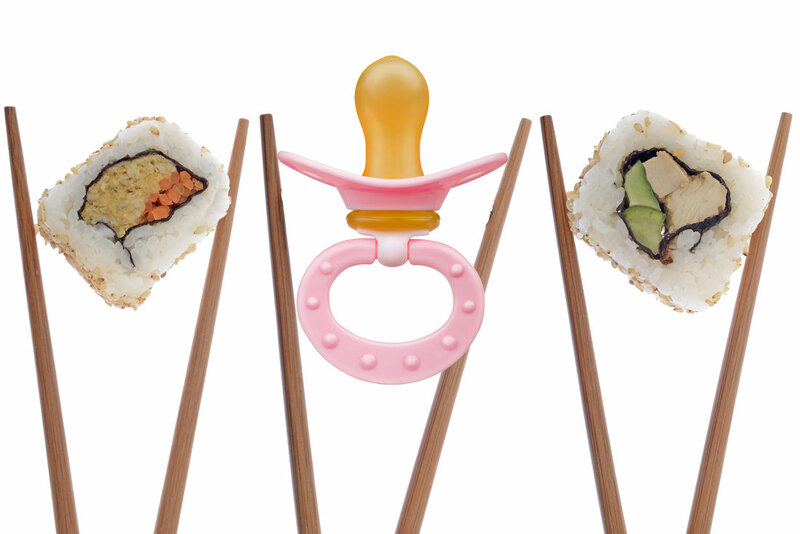 Sushi is a must-eat for a new mom. Like our city’s shellfish selection, the number of great sushi restaurants is headed in the wrong direction. 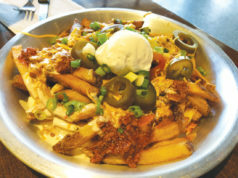 But we can still hang our hats on Shinjuku Station (711 W. Magnolia Ave., 817-923-2695), though I’ve always liked the chic Near Southside joint more for its Izakaya-style appetizers like the thick-cut Tok Fries ($6.50) with a spicy mayo dipping sauce. Another favorite is the ishiyaki ($14), slivers of raw ribeye cooked at the table on a hot stone. I’m pretty sure my friend would bathe in a tub filled with the kitchen’s scallop and tuna tartar ($10) served on a gossamer thin crispy lotus root. Since Shinjuku is a little pricey for the average budget, we might be better off hitting up Temake Sushi (1504 W. Magnolia Ave., 817-810-0438). The nigiri bento box ($13) is crammed with fresh, delicious seafood. There’s still some great, fresh raw fish on offer at Little Lilly Sushi (6100 Camp Bowie Blvd., 817-989-8886), though the menu isn’t as creative as it was before Chef Jesus Garcia left more than a year ago. The Uzara ($1), a raw California quail egg slinking atop a nigiri-wrapped cluster of salmon roe is still the height of food sexiness. There’s nothing stopping me from going to any of these places now. I’ve never appreciated my freedom more. Of course, when I’m lying on my death bed, I doubt any of my remaining cats will be my side to comfort me.